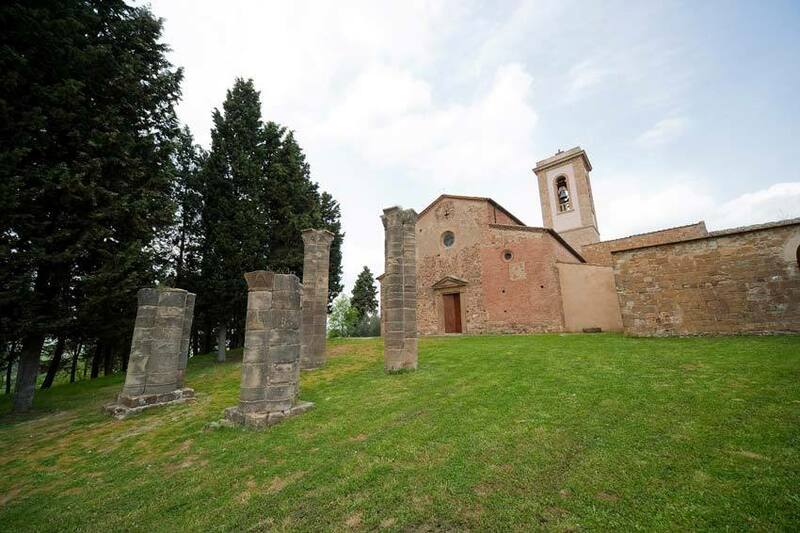 This romantic antique church is located in the Chianti region, on the green hills between Florence and Siena and offers really a fantastic panorama over the Tuscan countryside. The Medieval village is very dainty and well preserved, gives to anybody that walks along the narrow streets, an impression of returning to past times, with a tranquility that pervades the entire area. 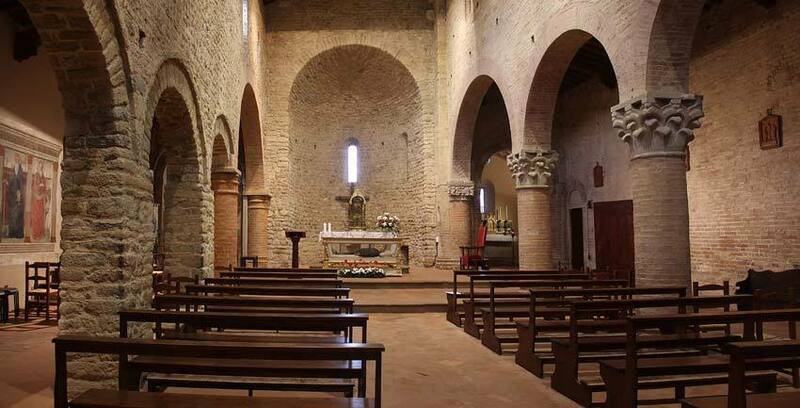 Located just a few kilometers from the Medieval village of Barberino, this suggestive Pieve is one of the most antique Chianti churches. Its origins are dated back to the 990 when the church went under Florence's Bishop domain. The church interior is divided into 3 naves, the arches on the left side are made of stone and are supported by large pillars, while the arches on the right are sustained by brick columns with stone capitals in Florentine gothic style. This church is particular for the rests of a separate antique baptistry that collapsed in 1800. It is the only building around Florence that has a separate baptistry from the actual church. Its origins are dated back to IV century and today the only rests of this ancient construction are the 4 columns with capitals decorated with Christian signs, that can be seen in front of the church. Your Catholic wedding in the Pieve of Barberino will be a wonderful day to remember. This ancient church is located in a relaxing area, very intimate and secluded. The local priest speaks English so he will perform the ceremony. Floral arrangements can be organized for the decoration of the church and you can choose to have the organist playing or other classical instruments. Remember to take a deep breath once in the open Tuscan countryside, all the fresh air and the scents of this region will invade your mind and spirit!